Thorne Lachlan, a firefighter for the Royal Fire Service, arrives at Lang Downs when a grassfire brings him onto the station to ask for assistance and prepare them for evacuation if necessary. A former Commando for the Australian Army, Thorne has retired, beset by nightmares and blackouts, a victim of PTSD. Lang Downs is a sheep station unlike any other Thorne Lachlan has been to. With homey cottages ringed with gardens to the people who live there, Lang Downs starts to cast its spell over a man clearly in need of both sanctuary and home. Then Thorne meets Ian Duncan, a long time resident of Lang Downs and the attraction between the men is both immediate and mutual. But both men are afraid of committments and relationships. Thorne because he fears he is a danger to all around him because of his PTSD. And Ian? Ian hides a deep secret that he had only told one man, Michael Lang, when he first arrived at Lang Downs at the age of 20. That secret has kept Ian a solitary man among friends on the sheep station, alone with his woodworking and small house. Still, neither man is capable of staying away from the other and slowly they begin to build a relationship and hopefully a future together. However, their pasts combine to raise up obstacles to their future. Thorne and Ian must face down their demons and get the help they have long needed before they can have a future together. 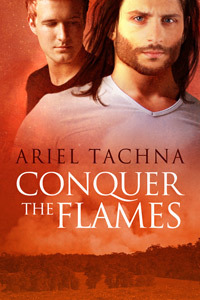 Conquer the Flames is the fourth book in the Lang Downs series and it comes close to being my favorite story yet. I had to wait several days to think about this review and why so much about this book spoke to me. And even now I am still not sure I can answer that question with a clear explanation. In many ways, Conquer the Flames has a slower, deeper feel to the story as well as the men at the heart of the book. And that’s unusual considering the title and the profession that Thorne has found himself in as a firefighter. But if you are to continue the analogy, this is much more a slow burn than a fast moving line fire as the basis and the fuel for the flames have a deep foundation in both mens past history and traumatic events. 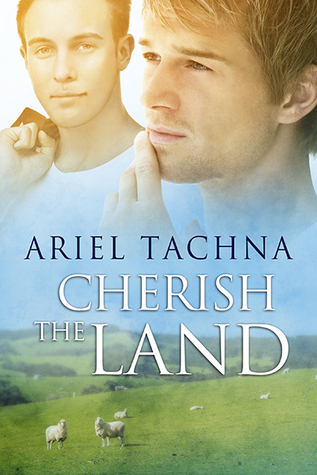 Once more Ariel Tachna has taken great care in building her characterizations to go with the beautifully created landscape and setting that is Lang Downs. Thorne is unlike any character that we have met here before. He is a former Commando whose time in the Army has left him with PTSD. He has anger management issues, blackouts and nightmares. And that doesn’t even begin to cover the events in his past that sent him running into the Army. Ian Duncan is also a damaged soul. His is a deep trauma inflicted in foster care and one he has never recovered from, even 20 years later. Both men are so marvelously crafted that it never occurred to me to doubt their authenticity or backgrounds. They feel so real, their problems and issues are so painful that the reader hurts along with them. Tachna has treated each man’s problems with the gravity necessary when speaking of PTSD and abuse. She gets the symptoms right as well as the need for outside medical assistance to help each man overcome years of denial and repression. There are no immediate cures, no easy answers, just the accurate portrayal of time and the hard mental ,emotional work necessary to recovery and healing for each of them. The author also sidesteps a common flaw when writing about such damaged characters, and that would be a quick sexual relationship and instant love. Thank goodness none of that is found here. I think it would have not only ruined the relationship’s credibility but destroyed the story for me as well. This is a romance but it is a simmering one. There can be no flashfires between men as hurt and broken as these two. Instead we get a slow buildup of trust and understanding that is as sweet and fragile as it is satisfying. Once you read this remarkable love story, you will understand it completely when I tell you I read and reread certain passages just to savor the scene and the emotions that were flowing over the pages. On more than one occasion I had to grab a tissue or two but they were honest tears brought forth by the real emotion and pain felt by Thorne and Ian, and of course the reader. Just a remarkable job by the author in every respect. As with the other books in the series, all the other characters, including Caine and Macklin, are here and well represented. This story takes place five years after the events of Outlast The Night (Lang Downs #3), but the gap of time feels as seamless as the flow of seasons over Lang Downs. We see the couples settling into their relationships and lives on the sheep station, the young children are getting older and new ones are being born. And new people have been introduced to the series that just might make their way onto the sheep station just as the others such as Michael’s Lost Boys have found their way there too. For the characters involved, and for the reader, Lang Downs remains an extraordinary place. Its a location where once we arrive, we don’t want to leave just like all those people who have found the path to Lang Down and home. I hope that Ariel Tachna has many more stories planned for this series. I intend to be there for each and every one. I am putting Conquer The Flames on my Best of 2013 list. Cover art by Anne Cain is as beautiful as the story within. This entry was posted in Book Reviews, Books, Contemporary fiction, Dreamspinner Press, eBooks, LGBTQ Book Reviews, M/M Book Reviews, M/M Contemporary Fiction, M/M Fiction, M/M Romance, scattered Thoughts Best Books of 2013, Uncategorized and tagged Ariel Tachna, child abuse in fiction, Conquer the Flames (Lang Downs #4), Dreamspinner Press, gay ex soldier with PTSD, gay vets with PTSD and survivor guilt in fiction, Lang Downs series, LGBTQ fiction, m/m contemporary fiction, m/m contemporary romance, m/m contemporary romance series, ptsd, Scattered Thoughts Best of 2013, sheep station location. Chris Simms and his brother just happened to be in the wrong place and at the wrong time and now Chris was getting the beating of his life by a gang of homophobic thugs. His brother, Seth, runs off to find help and the jackaroos who return to intervene and take him to the hospital end up changing their lives forever. One of the men to stop his attackers happens to be Macklin Armstrong who along with his partner Caine Neiheisal, offer Chris a job and both brothers a place to live on Lang Downs, their sheep station. Chris realizes how badly he needs this place for himself to heal and for his brother’s safety but it is so hard for Chris to trust other people, especially with his history. Jackaroo Jesse Harris is gay and quietly so as he has seen more than his share of homophobia on other sheep stations he has worked for. Having a station manager and a station owner who are not only gay but partners is taking some getting used to, so is not having to hide his sexuality as Jesse has always done before. Then injured Chris Simms arrives at the station with his brother and Jesse’s offer to help Chris adjust to station life turns into mutual attraction between the two men and then so much more. But Chris’ emotional state is in turmoil. He feels guilty for not pulling his own weight on the station because of his injuries and ignorance. And so is being there for his brother as Seth adjusts to a life so different in every respect from the one they were used to. Can he and Seth make a home on Lang Downs and be happy? And what about Jesse? Most jackaroos are nomadic by nature, roaming from one sheep station job to another from season to season. Would Jesse be able to make a commitment to Chris, a family, and life lived permanently at Lang Downs? Impermanence is all Jesse has known but when he falls in love with Chris, he realizes in a panic that returning that love means a fundamental change in his life. Now only if he can find the courage to accept that. Chase The Stars is the sequel to Inherit The Sky, the first Lang Downs novel and I certainly hope this is not the last visit to the men and the Lang Down sheep station I have come to love. Once more we are pulled into the world of wide open spaces of New South Wales and quiet reserved men who make their living off the land. Caine Neiheisel and his partner, Macklin Armstrong are featured here just as much as Chris Simms and Jesse Harris to my utter joy. Caine and Macklin have had six months to adjust to their new love and partnership. Lang Downs too is having its own adjustments to make to having an openly gay owner and manager. As Caine and Macklin work to create a successful and accepting work place, they also are still discovering new things about themselves as they learn to trust each other and lean completely upon the other man fpr their emotional support. Work schedules are tight on Lang Downs where they are shorthanded as not all the seasonal jackaroos will accept working with gay men and Macklin is still keeping secrets from Caine about his history to Caine’s frustration. Nothing ever comes quickly and there is work to be done, even on relationships, if all are to succeed. Into this evolving mixture of men and relationships, Tachna adds the Simms brothers, Chris and Seth who are woefully in need of sanctuary, a home and support. At Lang Downs, they find all that and more as Caine and Macklin provide a needed portrait of two gay men who love each other and successfully work together. Chris and his brother Seth were tossed out of their home by their stepfather after their mother died and Chris was having a hard time just getting them food and shelter on a day to day basis. With Caine and Macklin making them feel at home, Chris can finally get past a state of stress and starts to think about a future for them both. Chris Simms and his brother, Seth are wonderful characters and work perfectly within the established framework Ariel Tachna has created. We have already gotten a real understanding of the flow and pace of life on a sheep station, we anticipate the seasonal duties the jackaroos have before them as much as they do, and we sympathize with Chris and Seth’s feelings as outsiders when they first arrive at Lang Downs. But then the station’s strangeness starts to wear off as Chris and Seth find their way into the rhythm of life at Lang Downs. Seth settles down as he starts the School of the Air with the other children and finds an outlet for his mechanical nature in helping to work on the engines, the people around him making him feel like family. But it is Chris who we empathize with the most. He is the one beaten for his sexuality, he is the one who has shouldered all the responsibility for his brother and we breathe a sigh of relief and joy as Chris learns to trust in his situation and the men around him. Chris’ vulnerability and sensitive nature engages our affections from the beginning and we root for him to succeed and find happiness just as Caine and Macklin have. The character of Jesse Harris brings a wonderful contrast to Chris Simms and Macklin Armstrong. Jesse Harris is more typical of the seasonal jackaroos who work the sheep stations, never settling at one place for long. These men have learned to be self sufficient and hard, reserved and used to isolation. Still Jesse’s homosexuality sets him apart from the others and the high standards that Macklin and Caine set are not only new but bring the potential for more into a future Jesse had never thought of for himself. Watching Jesse change and adapt to new thoughts and feelings is like watching the parched ground soak up the rain after a steady shower, the cracks fill up and finally disappear as the ground repairs itself. We thrill to watch that evolution happen within Jesse as well. And that’s really how this book and Inherit The Sky feel to me. They are as much about a life lived as close to nature and as in tune with the seasons as one can be. 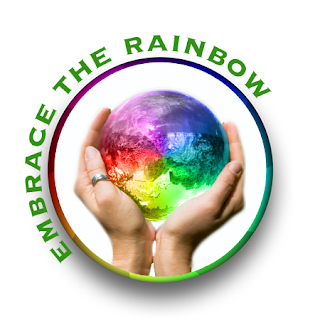 Changes in emotions and thoughts are measured as incrementally as changes in the land around them. The wind blows a little colder, the rains and sleet pour down upon men and sheep equally. And life is slow until the threat of dingos appears and then the rush to face the threats is quick and fierce as the storms themselves. There is the calm enjoyment of the beauty of the outback and the clear night skies contrasted with the life and death nature of the floods in the rainy season. This is a novel that spreads out before you in as elemental and earthy manner as the land itself. We are made to see an Australian night sky ablaze with stars, and feel the cold seep into bones of the men checking the fence line and what a gift that turns out to be. 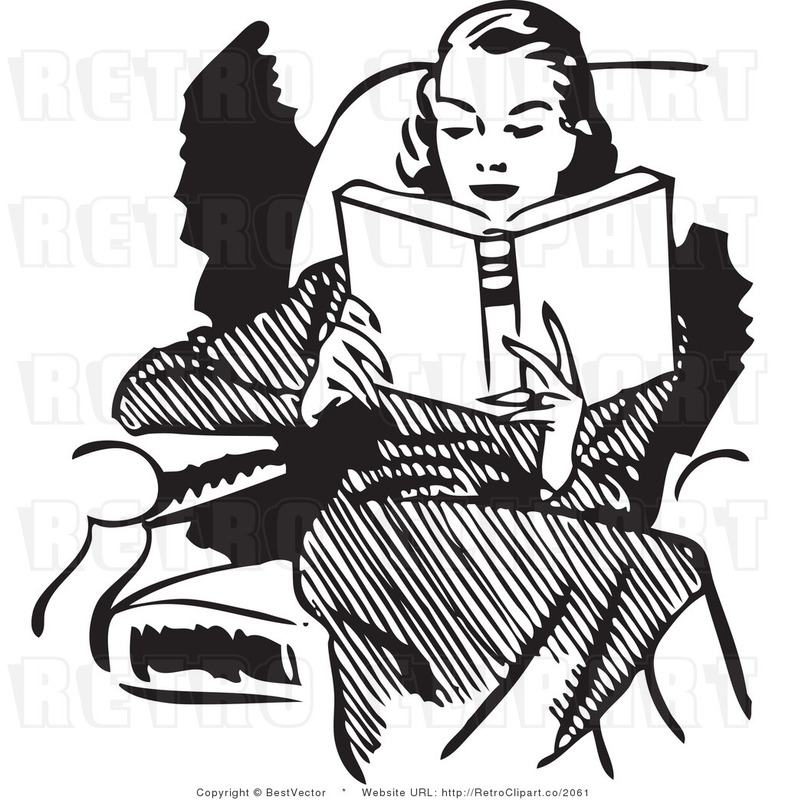 It is a treasure when an author can meld you seamlessly into their world, make you a part of their characters lives so completely that you hurt and laugh when they do. 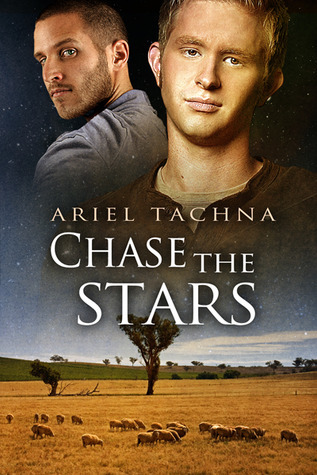 Ariel Tachna did that with Inherit The Sky and does it again here with Chase The Stars. Easing back into the world of Lang Downs was like revisiting with old friends and meeting new ones as well. I love watching the changes in the lives of the characters I have come to love, whether the permutations inch forward or flow fast like a stream. I hope that Ariel Tachna brings us back here again, to see what changes time has brought and to whom Lang Downs has given sanctuary and home. Until then, I will be picking these two books up again and again to read and remember. Cover by Anne Cain is lovely and perfect for the book and the story within. 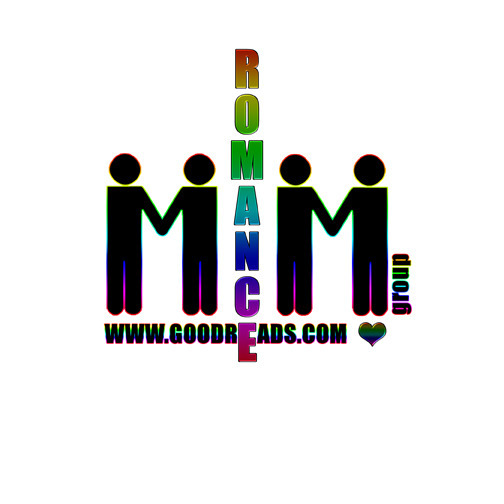 This entry was posted in Book Reviews, Books, Contemporary fiction, eBooks, M/M Fiction, Uncategorized and tagged Ariel Tachna, Australia setting, Chase The Starshe, child abuse mentioned, contemporary romance, Dreamspinner Press, GLTBQ fiction, Inherit The Sky sequel, Lang Downs series.